LONG DISTANCE BEAST WATER BALLOON LAUNCHER, makes a big splash with friends and family, 3 people launcher helps to get your balloons flying high like a bird!! 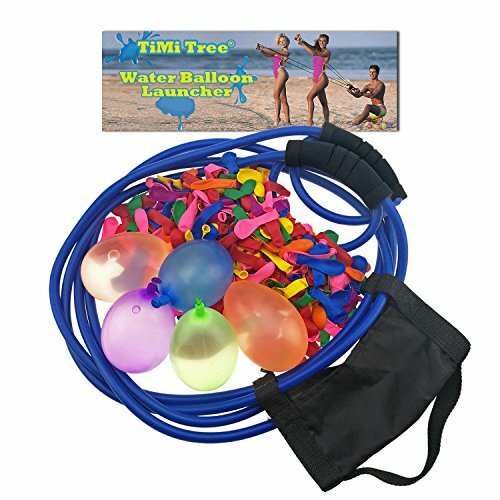 PERFECT CHOICE FOR OUTDOOR PARTY AND TIME KILLING 500pcs water balloons can supprt you and your friend & family to have an exciting water fighting game during a BBQ, parties or any events! WATER FUN FOR BOTH KIDS AND ADULTS Not only it can makes your parties cooler, but also can be used for festivals, science fairs, science experiments and so much more!